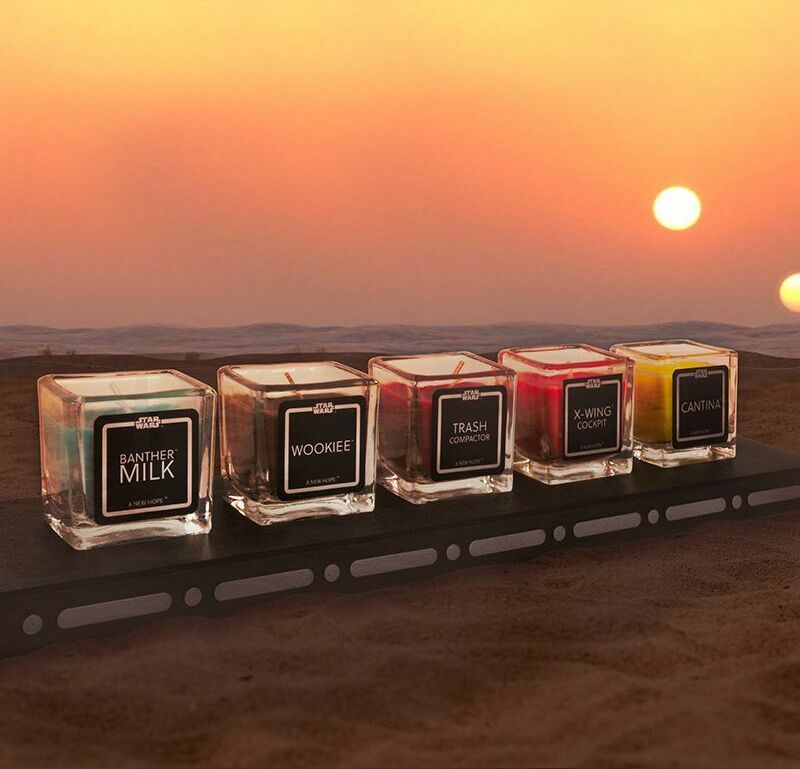 Star Wars fans will finally be able to sympathize with Han Solo when he said, “I thought they smelled bad on the outside.” There are now officially licensed Star Wars candles. 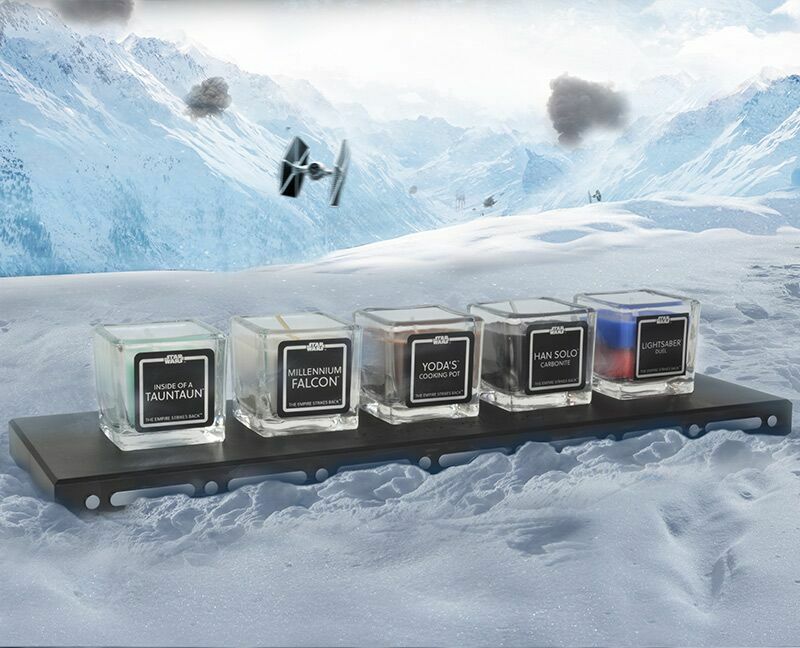 They come in three sets, one for each of the films in the original trilogy and I’m flabbergasted at the scents they’ve gone with. Who chose these? They sound more like gag gifts instead of something I’d actually want in my house. If you are so inclined, you can pre-order them now. Each set is available for $36.99 (less than $8 per candle), or you can buy all three at a discounted rate of $91.99. If you really love these candles though, you can get limited edition versions that come with an engraved plinth and presentation box, complete with magnetic closure for $52.99 a set, or $127.99 for all three. If you live in the UK, you can get them even cheaper by going to GeekStore! What scent can you not wait for? I actually wouldn’t mind smelling the destruction of a Death Star.